and in religion. The number 7 is often called the holy number, lucky number, the prophetic number, or the mystical number. In Eastern Philosophy there are the seven heavens of the Mohammedans and Hindoos, with the seven hells. 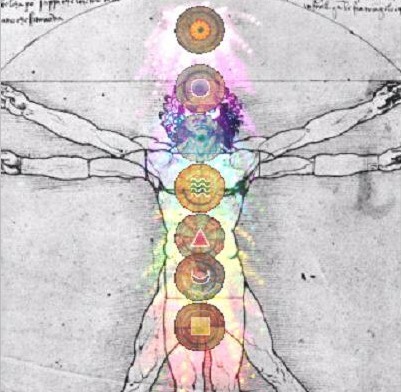 The Christians in the West have the seven virtues and seven deadly sins, or what those in the New Age movement might call our seven light bodies, the seven chakras, or the seven states of being. Plato had written in Timseus, that from the number seven was generated the soul of the World, Anima Mundana (Adam Kadmon). To the Greek Mathematician Pythagoras and the Pythagoreans, the number seven is “the essence or first principle of things,” which they applied to the secrets of the universe and creation. “But seven alone, as I said before, neither produces nor is produced, on which account other philosophers liken this number to Victory, who had no mother, and to the virgin goddess, whom the fable asserts to have sprung from the head of Jupiter: and the Pythagoreans compare it to the Ruler of all things. For that which neither produces, nor is produced, remains immovable. For generation consists in motion, since that which is generated, cannot be so without motion, both to cause production, and to be produced. The first reference we have to creation and the number seven comes down to us from Babylonia, discovered in the Sumerian creation myth and flood myth that was found on a tablet excavated in Nippur. These tablets are dated to approximately 1600 B.C. 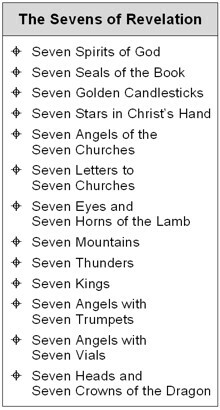 After the Sumerians, the tradition of the number 7 was carried on by Assyrians, with evidence of this found on their Tablets such as 7 gods of sky; 7 gods of earth; 7 gods of fiery spheres; 7 gods maleficent; seven phantoms; spirits of seven heavens, spirits of seven earths. There were the seven attendants to Osiris, whose body was divided into seven and twice seven parts; to Apollo (the Sun), between his seven planets. The Israelites regarded the number 7 as sacred. Their Levitical purifications lasted seven days, the three great feasts lasted seven days, and between the first and second of these feasts were seven weeks. When someone dies, they perform a ceremony where they walk seven times round the body of the dead repeating prayers, in the belief that this will drive away evil spirits. They also believed, that to cure the body of a sick man, they had to be anointed seven times with purifying oil. All their oaths were witnessed by seven people. In the bible, the number seven is encoded all through the Old and New Testaments, such as the seven days of creation, the seven vices and seven virtues, and Noah who had seven days’ warning from God to build the Ark before the great Flood; all the way to the seven seals of the Revelation of St John. Seven is also a sacred number in Masonic symbolism. It is said that in the last century, it took seven members to make a lodge perfect, although today 5 may hold one. The seventeeth degree, called the apocalyptic degree of the “Knight of the East and West,” there in the symbology is the Tracing Board with a man clothed in a white robe and surrounded by seven stars, that is direct reference to Revelation i. 16; “and he had in his right hand seven stars.” . Let us explore the mythical and mysterious number seven below, with examples of how the number 7 has been used in various ways throughout his-story. I’m sure you will also come up with more 7’s to add to this list. * Our 7th body part that rules all else, is the head with the mind that has seven parts for external use, two eyes, two ears, two nostrils and a mouth. * We have seven internal organs, stomach, liver, heart, lungs, spleen and two kidneys. * An adult is made up of around 7,000,000,000,000,000,000,000,000,000 (7 octillion) atoms. * The Seven DNA Polymerase Families that can be further subdivided into seven different families: A, B, C, D, X, Y, and RT. * The Seven bodies of the Human microcosm. * The Alchemists of the middle ages counted the following seven bodies: Sun- Gold, Moon- Silver, Mars- Iron, Mercury- Quicksilver, Saturn- Lead, Jupiter- Tin, Venus- Copper. * The Moon passes through stages of 7 days in increase, full, decrease, and renewal. * The seven spirits of God: 1. The Spirit of Wisdom. 2. The Spirit of Understanding. 3. The Spirit of Counsel. 4. The Spirit of Power. 5. The Spirit of Knowledge. 6. The Spirit of Righteousness. 7. The Spirit of Divine Awfulness. 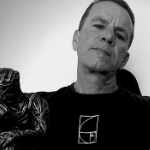 * The seven deadly sins are: Pride, Wrath, Envy, Lust, Gluttony, Avarice and Sloth. * The seven joys of the Virgin Mary are: The Annunciation, Visitation, Nativity, Adoration of the Magi, Presentation in the Temple, Finding Christ amongst the Doctors, and the Assumption. * The seven sorrows of the Virgin Mary are: Simeon’s Prophecy, the Flight into Egypt, Christ Missed, the Betrayal, the Crucifixion, the Taking Down from the Cross, and the Ascension, when she was left alone. Bias who said, ” Most men are bad,” B.C. 550. Chilo „ “Consider the end,” B.C. 590. Cleobulos,, “Avoid extremes,” B.C. 580. .
* Periander „ “Nothing is impossible to perseverance,” B.C. * Pitticus „ “Know thy opportunity,” B.C. 569. * Solon „ “Know thyself,” B.C. 600. In Irish mythology, the epic hero Cúchulainn is associated with the number 7. He has 7 fingers on each hand, 7 toes on each foot, and 7 pupils in each eye. Rome was founded 21 April 753 BC from settlements around a fjord on the River Tiber by Romulus and Remus, sons of the Trojan prince Aenas. Romulus killed Remus and became the first of the seven kings of Rome. About the same time as the dedication of St. Paul’s, there came to the monastery; Bede, then a child of seven. He was born, as he himself tells us “in the territory of that same monastery” and was sent there to be educated by Abbott Ceolfrid.